Photography is by nature an exploration of time. The blink of an eye may be frozen by the shutter. 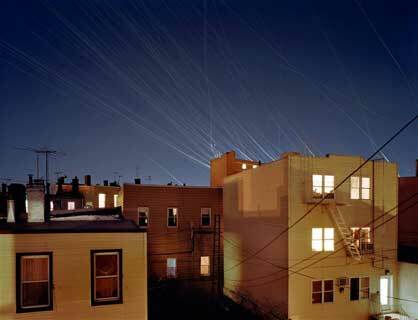 Or in the case of this series, many minutes or even hours add up to construct a single image punctuated by the paths of commercial airplanes traversing the night skies. 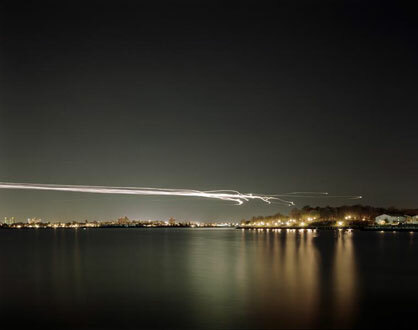 These white streaks, the only aspect of the planes visible in the photographs, are created by the landing and navigation lighting on every plane. Each line represents the amount of time it takes a commercial flight to pass through the frame. The work pays respect to pioneering photographers Edward Muybridge and Etienne-Jules Marey, and their studies of motion, while representing the passage of time in an unfamiliar, challenging, and visually rewarding manner. In photographing from residential and often marginal areas immediately surrounding large commercial airports, a sense of grace, solitude, and quiet peacefulness is created from the otherwise hectic airport environments. Gone are the long lines, the anxieties, and even the massive planes themselves. The audience is challenged to consider this work as metaphor for our desire for escape and the increasingly interconnected world in which we live. Ultimately, they are asked to reflect on the impact of all of this on the environment. P.S. 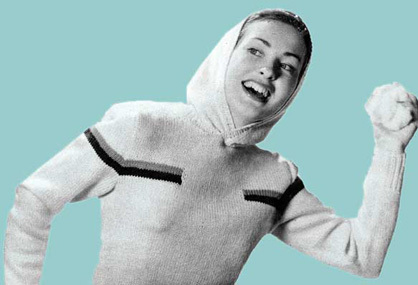 ; 28 Afterthoughts in Search of Before, 2007, is a single-channel 5 minute video that imagines postscripts to stories that have never been told. While each of the 28 afterthoughts suggest that they could be the beginning, middle or ending to an unknown narrative, they are independent ideas and in fact their own short stories; some as short as a second.